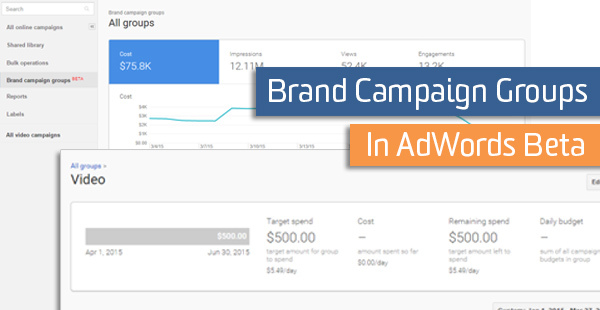 Have you seen the brand campaign groups featured in your AdWords account? It’s still early but this seems like a great high-level analysis tool for any advertisers interested in building their brand. 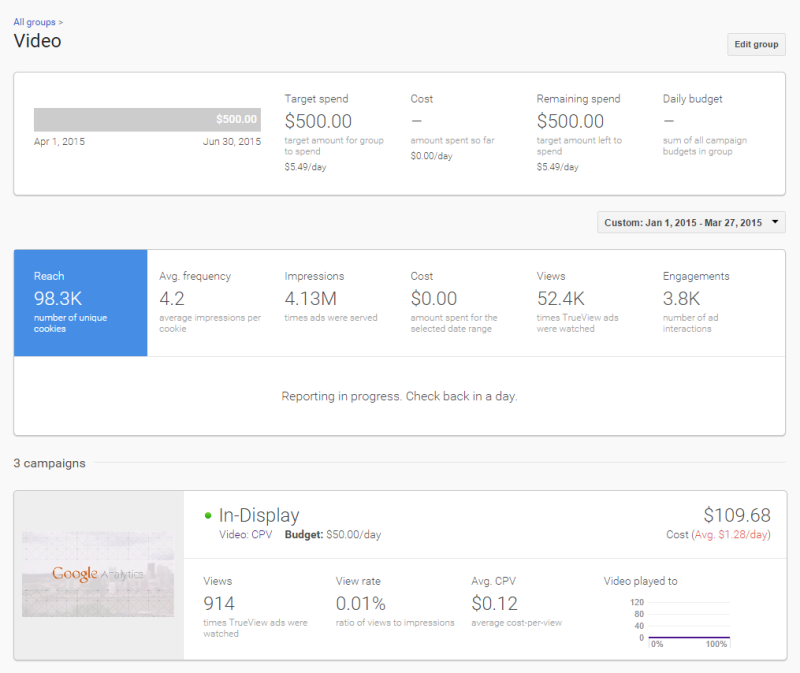 You can roll together your display targeting and video campaigns into a single campaign group for easy spend analysis. This reporting feature places more emphasis on awareness-oriented metrics and interactions like impressions, views, and ad engagement. It will also provide a breakdown of reach and frequency to help advertisers understand how many unique browsers their ads reached and how often they were displayed. You are able to see an overview report detailing how your branding campaigns have performed as a whole. It also provides brief details about how your individual groups have performed. 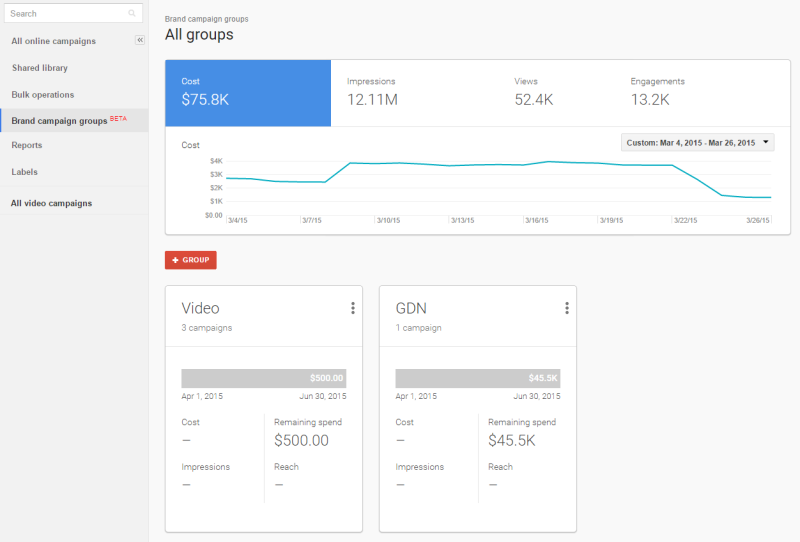 The tool works by allowing you to place individual Google Display Network, Video ad campaigns, or other branding-type campaigns into a group. You can then click into each group from your overview report for additional insight into performance for the campaigns in that specific group. It is clear that these campaign types are not conversion oriented, and it is somewhat obvious to note here that there is little emphasis on conversions as part of the equation within this tool (which may seem like a somewhat unusual move to some account managers out there). That makes sense given that the AdWords team has named this the “Brand Campaign Groups” tool. How many browsers have displayed my ads? Were those ads engaged with? How do similar brand campaign groups compare against other brand campaign groups? How to different branding ad types compare against different branded ad types? Long story short, you need to adjust your KPIs and focus on top of funnel metrics while analyzing Google Display Network campaigns. Google has done plenty of research and developed similar tools detailing this sort of user behavior. Brand Campaign Groups are just the latest in-AdWords addition to the mix. What are your thoughts on the new feature? Love it or hate it?